As well as our vast experience in the UK, we also do consulting in Europe, where we help clients to work with the different rules and regulations in each country. 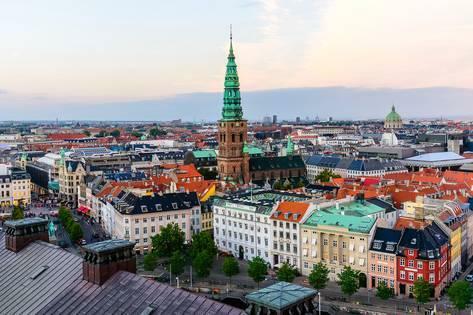 In this example, due to the merger & acquisition of a US-based company operating in Denmark, our client – a large international software company – inherited a health and safety problem. Safety management development and planning. Note: The DWEA can impose administrative fines in cases of a serious material breach of clear and generally well-known areas of the Working Environment Act. The DWEA only issues administrative fines if the violation is clear and straightforward and not discretionary. Like many companies, our client found it challenging to deal with managing laws and requirements in multiple countries. After they had completed the merger, we were engaged to work with their local management team. Our task was to make the necessary improvements, liaise with the DWEA, and suggest and oversee actions to improve the situation. These were required to improve safety, as well as manage the psychological effects of work in the working environment, in accordance with Denmark’s strict workplace wellbeing requirements. A psycho-social survey was developed and agreed in accordance with Danish H & S legislation/guidance for all employees, covering H & S, stress in the workplace, training, job satisfaction, communication and management engagement. The survey was issued to all employees, results collated and analysed, and a feedback report issued to the Senior Management for review prior to issuing to the employees. Amalgamate have introduced a programme of Health and Safety Representative nomination and elections. These are now in place and are held every 3 years. Following subsequent engagement with DWEA, our client was, with our assistance, able to demonstrate that the required improvements were carried out, and the injunction was lifted with no administrative fines imposed. Our client’s reputation remained intact without significant financial loss. Additionally, we have assisted them with making significant strides to improve their merger & acquisition transitions and improve the support offered to new employees throughout Europe, the Middle-East and Asia. This includes developing a robust on-boarding/induction programme (inc. safety), career development planning, and putting in place health and wellbeing, and employee assistance programmes. Amalgamate continue to be engaged to oversee any improvements and provide competent H & S support where required. We oversee an ongoing cycle of monitoring and improvements, to ensure that high standards are maintained. Consulting in Europe offers many challenges, with the many differences in safety culture and laws between countries. However, we have the skills and experience to make a difference to the organisations we work with. Our professional services are designed to offer flexibility to the businesses we serve. If you would like more information about the services we provide, call us on +44 (0)141 244 0181 or email info@amalgamate-safety.com.